Old cars are relegated to side tracks. Ukrainian railway operator Ukrzaliznytsya is set to convert cars for the Ukrainian army, the CEO of the state-owned company, Wojciech Balczun, said on 7 July. The railway chief said that the Refrigerator Wagon Company on the instructions of the president and the government re-equipped a pilot car from a refrigerated car for their own money. "We plan to demonstrate this modernized car to the officers of the Armed Forces of Ukraine soon. Provided the military give the green light, we are ready to convert another eight such cars... In addition, we will refurbish 102 more couchette cars for the transport of personnel," Balczun wrote on Facebook. 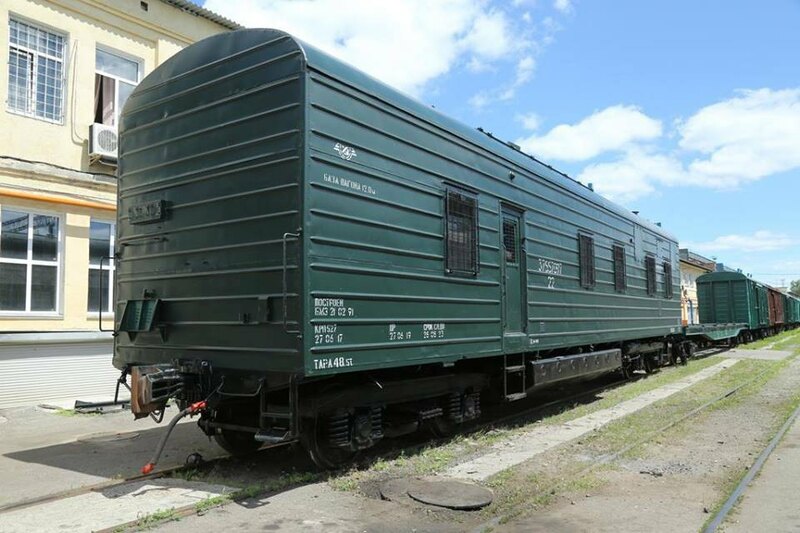 According to the Ukrzaliznytsia chief, the modernized car is equipped with sleeping compartments, a guardroom, a bathroom and a kitchen. It is equipped with a stove for cooking hot dishes and cooking utensils. All premises are heated in winter. The water supply system is arranged similarly to the passenger car system and contains everything necessary: a shower, a washbasin and a toilet. In addition, the special car has a armoury safe, barred windows, and everything in accordance with regulations of the guard service. In addition, 102 more couchette are planned to be used for the transport of personnel. Balczun stated the desire that the government will update in the near the Soviet-time normative and technical documentation related to the terms of transportation of military personnel and equipment, and Ukrainian plants will receive an order for the manufacture of such cars.